Good morning y’all. Today we looking at Psalms 22. In this psalm David felt abandoned and forsaken by God. His enemies were after him and He needed God to rescue him but it seemed God was far away or on holiday. Friends, perhaps you feel just like David today. You feel abandoned and rejected. I want to encourage you not to give up on God. God has not forgotten you. Infact it is impossible for him to forget you. Delay doesn’t mean denial. Keep the hope alive and keep trusting God. Hold on to the promises he has made concerning you. Keep praising him and he will surely come through for you. “Praise the lord , all you who fear him! Honor him, all you descendants of Jacob! Show him reverence, all you descendants of Israel! For he has not ignored or belittled the suffering of the needy. He has not turned his back on them, but has listened to their cries for help. I will praise you in the great assembly. I will fulfill my vows in the presence of those who worship you” (Psalms 22:23-25 NLT). Keep praising and God will come through for you. Dear Lord we thank you for today. We pray you will give ears to our request today and come to our rescue. Help us keep praising and trusting you while we wait on you. Strengthen our faith in you. Thank you Lord. In Jesus Name. Amen. I’m blogging through the bible with Good Morning Girls. We will be going on Christmas break from today. 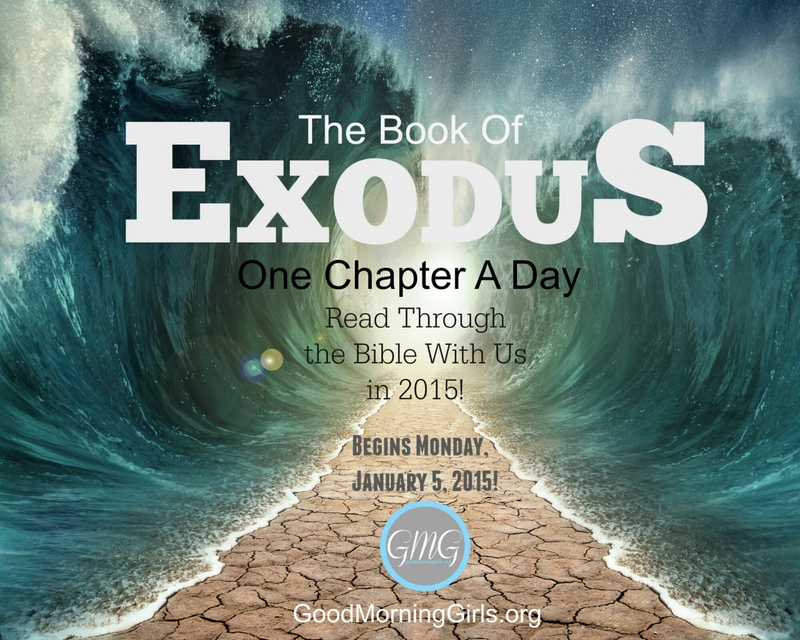 The next chapter blogging will start on the 5th of January with the book of Exodus (I’m excited….can’t wait to start 🙂 ). Good morning y’all. Today we looking at psalms 21. “How the king rejoices in your strength, O lord ! He shouts with joy because you give him victory. For you have given him his heart’s desire; you have withheld nothing he requested” (NLT). Friends, when we look at our lives and all that we have achieved, are we quick in giving the glory back to God for all He has done or do we take the glory for ourselves? We need to understand like David did, that all we are, own and have achieved is only by God’s strength at work in us. Zechariah 4:6 says: “…Not by might, nor by power, but by my Spirit, says the Lord of hosts”. Even the great Apostle Paul said in 1 corinthians 15:10 “But by God’s grace I am what I am,…. although it was not really my own doing, but God’s grace working with me” (GNB). Don’t let us get too proud by thinking all we have achieved is by our own strength. Friends, let’s give all the praise and thanks back to God, for He alone deserves it. And it’s truly by his mercies that we are not yet consumed.